A few notable land use bulletins came up recently which may be of interest to folks, including the resurrection of the Cameo project, a 27-story Belltown apartment tower and two new apartment developments in South Lake Union. The Cameo development on Capitol Hill is back on the table after a 3-year hiatus. The project was originally proposed as a sister condo development to the Braeburn across the street at 15th & Pine St. The current proposal, similar in design to the original, is a 6-story building with 56 residential units including 2 live/work units and retail space. The project is owned and being developed by HAL Real Estate Investments, whose residential portfolio includes both apartment and condominium buildings. 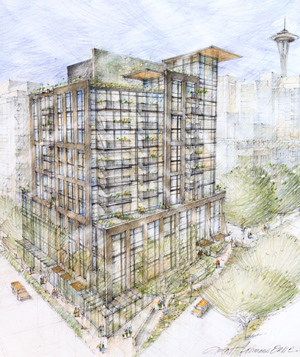 An early design guidance review meeting has been scheduled for the proposed 310-unit apartment building at 2625 3rd Ave 225 Cedar St, the adjacent property northeast of the Seattle Heights Condominium building. Interestingly, this project keeps growing from its initial 17-stories on the parcel where the American Lung Association building stood, to 20-stories, then 26-stories and now 27-stories, that when all phases are completed will encompass the whole 3rd Avenue half of the block. I’ve heard there’s been strong opposition to the size of the project from residents at Seattle Heights. The project is being developed by Paragon Real Estate. Alto, an apartment tower currently under construction, is located across 3rd Avenue from this site. A design review board meeting as been scheduled for the Joseph Arnold Lofts apartment development in Belltown. To be developed by the Schuster Group who built Mosler Lofts, The Joseph Arnold Lofts is planned for the corner of Elliott Avenue and Cedar Way with the Bellora Condo on the northwest and The Klee Lofts to the northeast. When built, the 13-story 132 unit building will be within 20 feet of the Bellora’s southerly facade (as close as 10 feet in earlier designs) and an alley width from The Klee. Rollin Street Flats may soon get a new neighbor. A land use application (see bulletin) has been filed for an adjacent parcel located Northeast of Rollin Street, which is owned by Investco Properties. The application is for a 7-story, 145 unit residential building with 72 parking spaces. 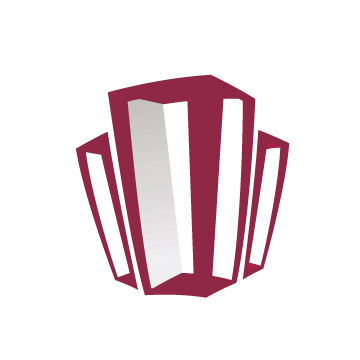 Investco’s residential arm develops and manages apartment buildings. Vulcan has left the door open to re-convert Rollin Street Flats back to condominiums when the condo market rebounds. Vulcan Real Estate is proposing a massive residential development that’ll encompass an entire block in the SLU/Cascade neighborhood, bounded by Pontius, Republican, Yale and Harrison. The proposed development will incorporate the historic landmark Supply Laundry Building with 7-story buildings, up to 320 residential units, approximately 10,000 square feet of retail space and parking for 360 vehicles (per the design proposal document). The Laundry Block site is part of Vulcan’s vision to redevelop the South Lake Union area into desirable urban village attracting new businesses and residents. The Laundry Block is located 4 blocks east of Amazon’s new campus and 2 blocks north of REI. This is unbelieveable! 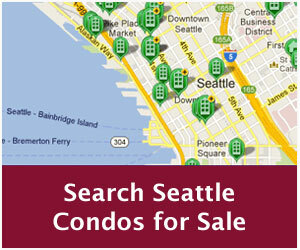 I was looking around for some ideas for a condo page on my site and came across your post. 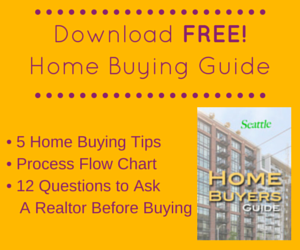 Very informative and detailed. I really like the not-so-salesy presentation. Nuts-and-Bolts, that’s what I like! I have a good friend in Ballard and have always liked the Seattle area. Just waht you need, huh? Another Californian moving northward?? !